The Minister of State for Petroleum Resources, Dr. Ibe Kachikwu, has acknowledged the request by human rights lawyer and Senior Advocate of Nigeria (SAN), Mr. Femi Falana, for the details of the loss of about $60 billion oil revenue due to Nigeria. Falana had made the request on the strength of the Freedom of Information Act, 2011 through his letter dated April 10, 2019 and received by Kachikwu’s office on April 11. He threatened to sue the minister if his demand was not met within seven days of receiving his letter as prescribed by the FoI Act. Falana had explained in his letter to the minister that the huge loss of oil revenue was caused by the refusal of some public officials to implement the terms of the Production Sharing Contracts between the federal government and the international oil companies. 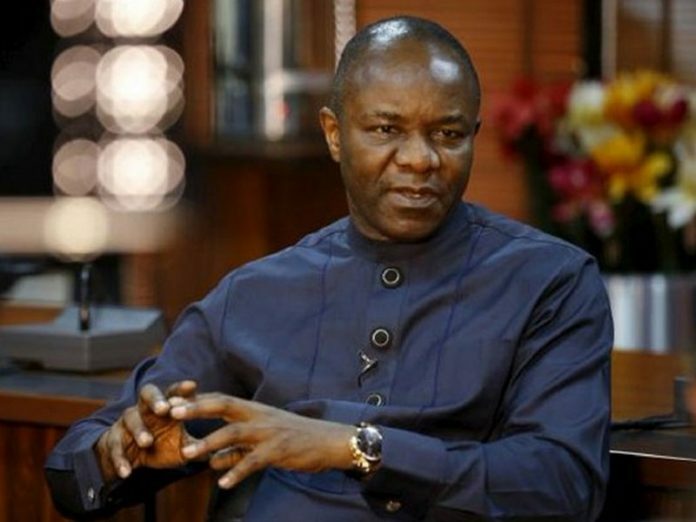 He said he had, through a letter dated November 5, 2015, brought the issue to the attention of Kachikwu when he was the Group Managing Director of the Nigerian National Petroleum Corporation (NNPC). According to Falana, a public statement credited to Kachikwu sometime in August 2017, attributed the loss of not less than $60 bIllion oil revenue to the inaction of the relevant public officers in charge of implementation of the terms of the PSCs. He stated, “In view of the foregoing, I am compelled to request you to furnish me with information on the revenue of $60 billion which the federal government has refused to collect from the International Oil Companies (IOCs) as at August 2017.